The Bedlington Terrier can make heads turn with its lamb-like coat. This dog is named after a mining town in North East England. Typically found in Africa, the Azawakh is a dog breed distinct for its size and height. Its among the fastest dog runners (it can run like a wind). 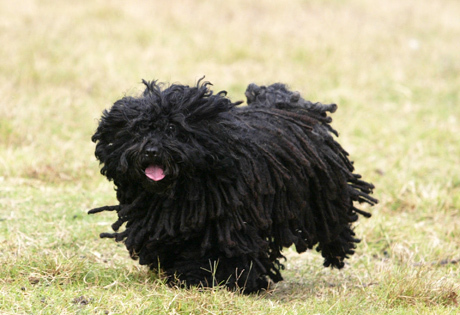 Puli is a small to medium-sized dog famous for its thick coat composed of long and tight curls. The Bergamasco Sheepdog is one of the oldest dog breeds. This dog stands out for its shabby and thick coat. The Russian Borzoi is similar to a Greyhound as it has a narrow, dome-shaped head and slender body. Yes, this is a dog though it looks like a cat at a glance. The Affenpinscher, also known as the “monkey dog”, is a small dog known for its shaggy coat and monkey-like expression. Its muscular built makes a Bull Terrier looks fierce but this dog breed is one of the friendliest dog breeds out there. If you’re a fan of hairless dogs, then you will love the Xoloitzcuintli. Also known as the Mexican hairless dog, this dog comes different sizes. The Peruvian Inca Orchid is another breed of hairless dog. This is said to originate from the pre-Inca culture. Unlike other hairless dog breeds, the Chinese Crested dog comes in two varieties: with and without fur. Which one would you prefer?